​​Do you want to decrease your workload, as well as increase your efficiency, productivity and consistency? 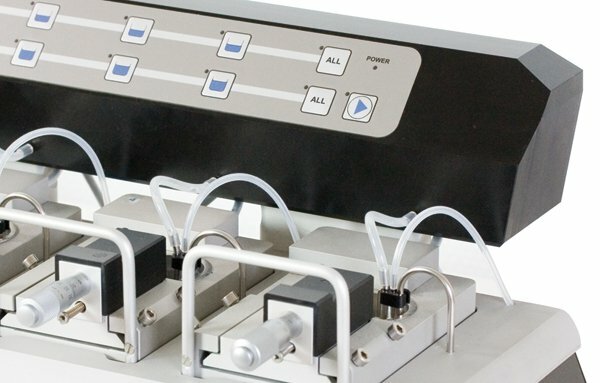 The solution is the Buffer Filler System - 625FS - an add-on that provides an automatic, reliable and consistent way to replace buffer in the chambers of your 4-Channel Myograph System. ​The Buffer Filler system is easily ‘clicked' onto your 4-channel Myograph System. 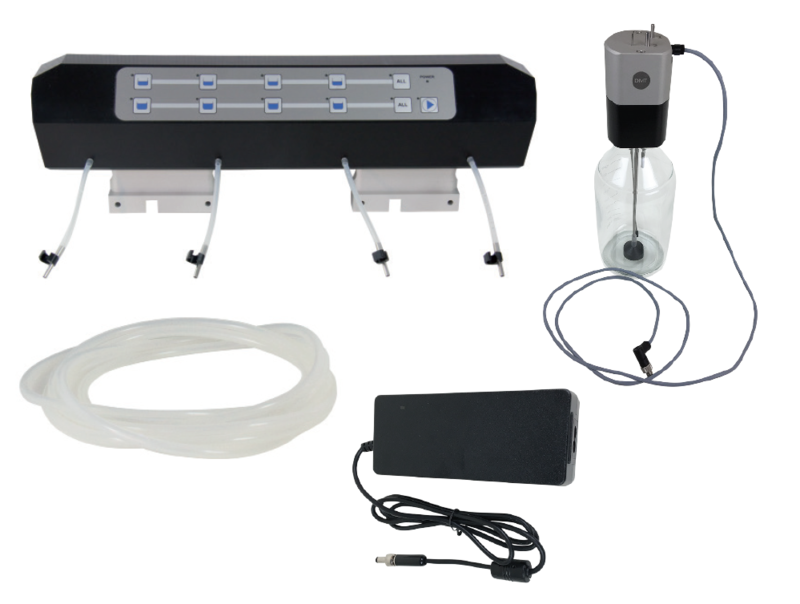 It can fill one chamber of choice separately or all 4 baths simultaneously with buffer by a single touch of a button. It can apply two different volumes of buffer. The standard setting is 6ml and 8ml buffer but other volumes, however, can be requested if the standard settings do not meet your needs. One External re-circulation pump cover lid for the 1 litre bottle with three steel pipes; two for the recirculation of the buffer and a third for applying gas to your buffer.